Last year the Corzon-Gray family, longtime residents of the Mission were facing a rent hike of 500 percent. The family fought the decision and the company used every trick in the book to get that hike. In May, the rent board ruled that the 500 percent rent raise was illegal. “What a relief,” said Elizabeth Corzon-Gray, preschool teacher and nanny, born and raised in the Mission. Her mom, Sofia Corzon-Gray moved to the Mission from Bolivia seeking a better life. The family has been living in their apartment since 1978. Said Elizabeth, “The neighbors knew each other, watched out for each other. My brother and I walked to school every day. I saw the changes happening all around me, read about all the evictions and harassment but never thought it would happen to us…until you see the paper on your door and it’s your home.” But Corzon-Grey family fought the attempted rent hike — and won! 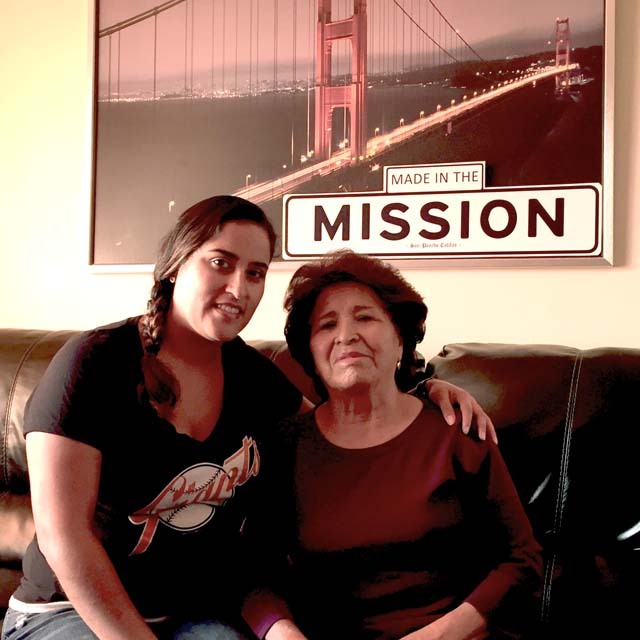 Here’s to one more teacher, and her mom, a senior, keeping their home in the Mission!